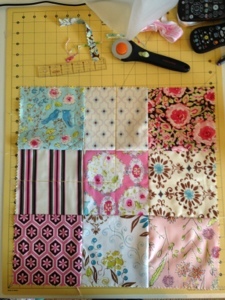 I have grand intentions of making a quilt for my king size bed. 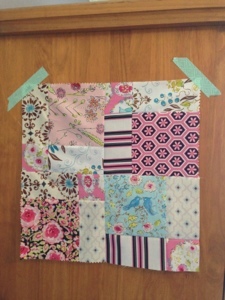 We currently have a store bought ivory quilt that we use and then I use an additional smaller quilt for just my side. There really isn't a theme in our master bedroom so I decided to keep our options open for the future. 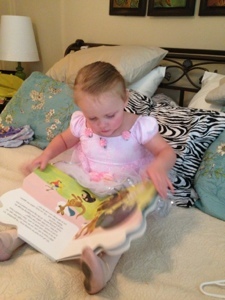 Here is a pic of my bed with big relish reading a book in her everyday clothes. Lol. Just kidding. This was right before her ballet recital back in may. Sorry for the phone pics. Hi Jan! Thanks for visiting and following! 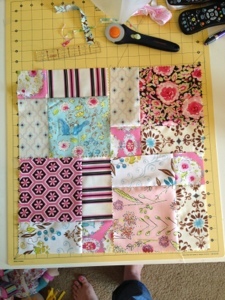 I returned the love ;) I really need to get cranking on making these blocks....now I'm accountable since I blogged it. Hehe! Now I'm off to see what you have going on in your world.